Oh my you have one very active baby! Cripes! I've never seen that before! Maybe it's a boy thing?! 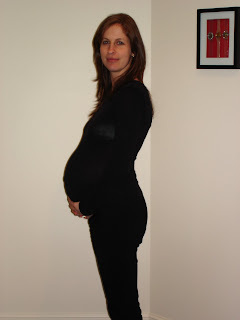 I also had anterior placenta with Charli, but normal with Sophie - though I still didn't feel or see much movement. I am in absolute awe of your crazy belly movements (love the title of your blog post). Really sounds like bubs is very ready to come out into the world. Wishing you all the very, very best for the birth!